Good news for all voice customers. 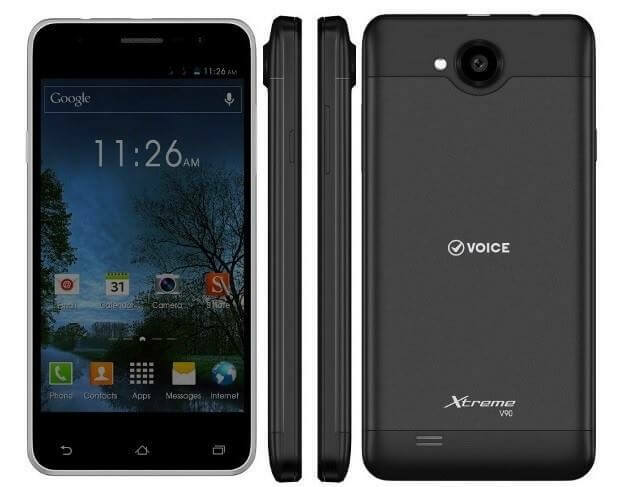 Voice brings a reliable Smartphone for its valued customers with the name Voice Xtreme mobile V35. Now you can get complete Smartphone in reasonable charges. This is an amazing Smartphone has launched by Voice brand for buyers and customers can get fastest smartphone feature after buying this product. It provides Android OS 4.2 Jelly Bean system with 1.3 GHz Dual-Core processor. This smartphone also gives option of dual sim facility for using in a single time. It provides 512 MB RAM with 4GB built-in memory in this launched hand-set. This is an exceptional hand-set for all the cellular operators who really like for using multiple things in a single and they can easily use all latest mobile application like Whatsapp, Viber and many other more. It also gives wide display screen of 4.0 inches with multi-touch option. An attractive option in this hand-set for buyers is that it is providing such a cheap price of this voice hand-set for buying and different class people can easily get this mobile phone in reasonable rates. It provides astonishing camera facility of 5 mega pixels rear and digital camera front with LED flash. It gives video calling and video recording options in this launched mobile phone of its buyers. All common features of Smartphones are also included in this hand-set like Bluetooth, Wi-Fi, WLAN, GPRS and many other more. The details of this hand-set are mentioned as below. System: Android OS 4.2 Jelly Bean. Display Colors: IPS WVGA Touchscreen. Bluetooth, USB, WLAN, WiFi, GPRS, EDGE. Messages: SMS, MMS, E-mail, Push Email, IM. Ringtones: Downloadable, Polyphonic tones, Mp3, Sound-recording. Other Features:Light sensor, Gravity sensor, Easy internet access, Multi-touch, Speaker-phone, Video-recording, Selfie Camera. Latest Features: Document viewer, Proximity sensor, Color display screen, IPS display, SNS integration, Micro SD-card supports up to 32GB.